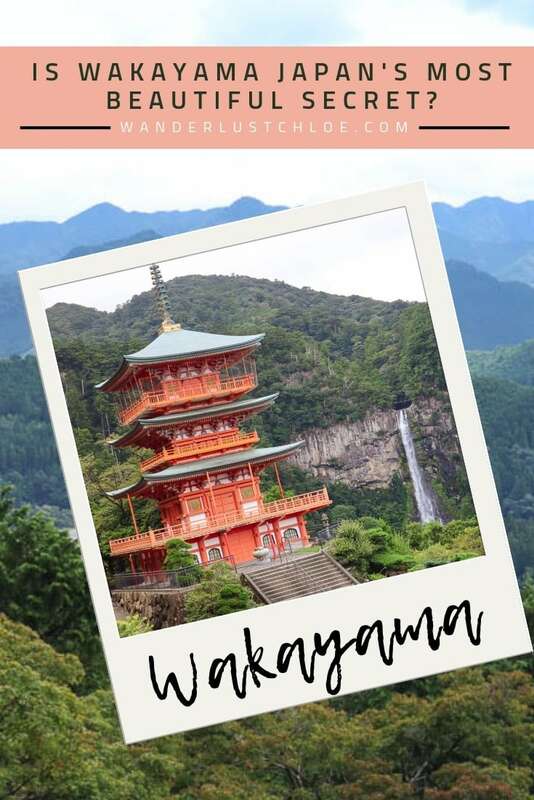 Plan your trip to this beautiful part of Japan with this Wakayama travel guide. Heading south from Osaka is Wakayama and the Kii Peninsula. 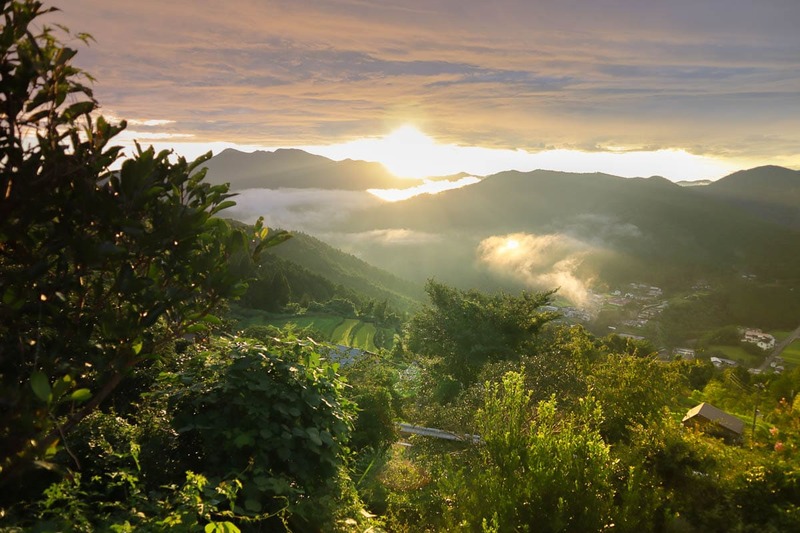 It’s a mountainous area of natural beauty, where low-lying clouds create magical views. After visiting Tokyo, followed by the Izu and Noto Peninsulas, this was my final stop on my exciting tri-peninsula trip through Japan. 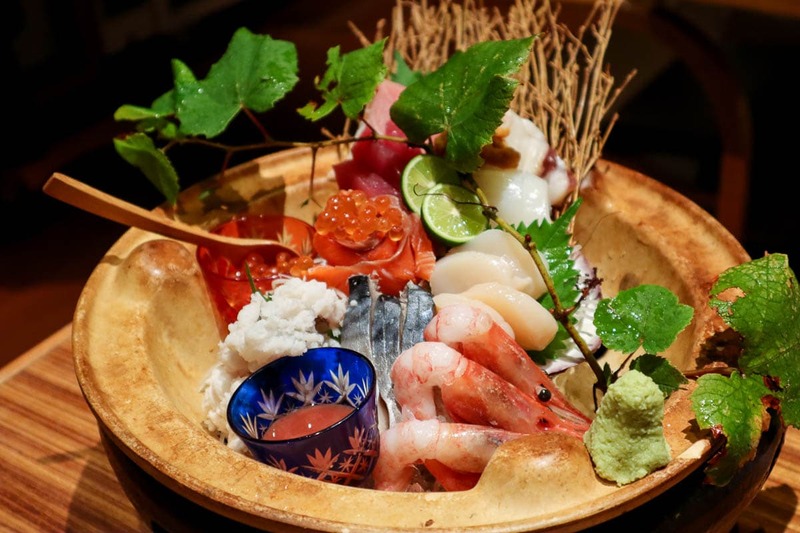 A few friends had spent time in Wakayama City (Emily has a great Wakayama City guide) and they all thoroughly enjoyed themselves. They checked out places like Wakayama Castle, some great ramen joints (the area is famed for its delicious pork broth) and Kuroshio Market. For me though, it was time to leave the city behind and head for the beautiful scenery. With a typhoon rolling in it was going to be a brief trip, but hopefully an enriching one. The area was named by my friends over at Lonely Planet as one of the top regions to visit in 2018, describing Wakayama as the perfect place for visitors to “dig a little deeper” into Japan. 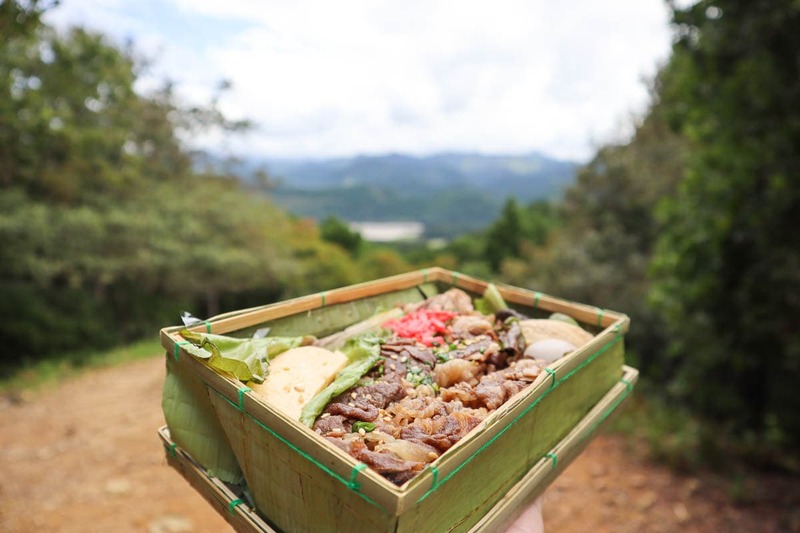 From stunning hiking routes, to places of cultural significance, and great food too, it’s time to share a few highlights from my travels in Wakayama Japan. Wakayama is a region in Japan, located in the Kii Prefecture. 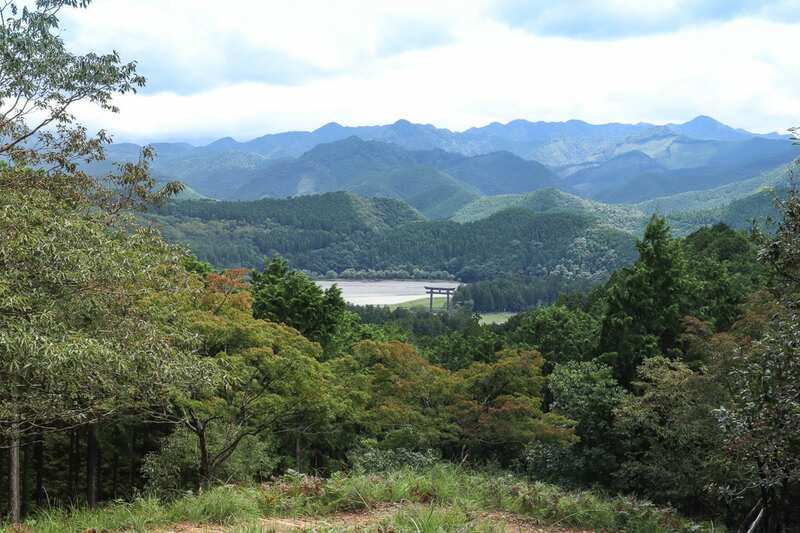 It’s south of Osaka, and easily accessible by car or train. We caught the train from Osaka to Wakayama station. It takes exactly one hour from Shin-Osaka station, and I found the trains very efficient and easy to use. The journey from Kyoto to Wakayama by train takes just over two hours. We travelled across Japan using a Japan Rail Pass (approx. £315 for 14 days) which made it easy to visit multiple places across our trip. When trains are busy it’s advisable to reserve seats in advance, which can be done for free at the station ticket office. Order your Japan Rail Pass now. If you’re flying, it takes around 45 minutes to drive from Osaka’s Kansai Airport to Wakayama. 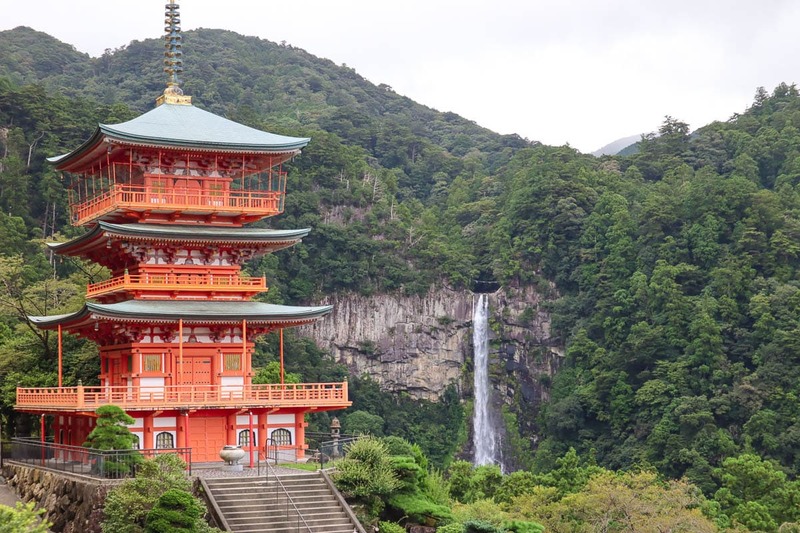 At 133m, Nachi (or Nachi no Taki) Waterfall is the tallest in Japan. It sits close to the beautiful pagoda, making for a quintessential Japanese view. It’s wonderful to feel the power of the falls here! You can get pretty close using the paths down to the base of the waterfall, and then take it in from a different angle at the higher viewpoint. 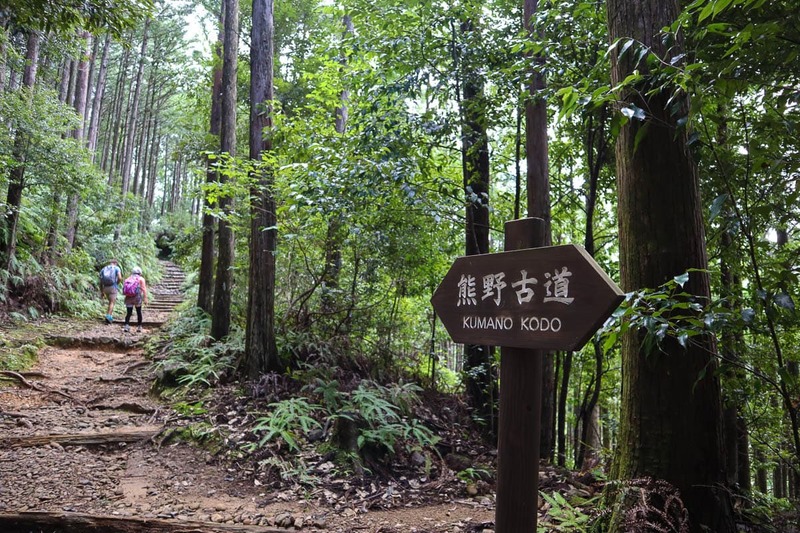 Many visit Wakayama to walk the well-trodden paths that make up the Kumano Kodo. This religious pilgrimage dates back over 1,000 years, and takes you through plenty of epic landscapes. Beautiful mountains and rolling hills, low-lying clouds and mist, beautiful forests and woodland and a few stunning viewpoints too – you’ll be reaching for your camera all the way along. We only had time for a morning hike, so headed straight for one of the most popular and picturesque sections. 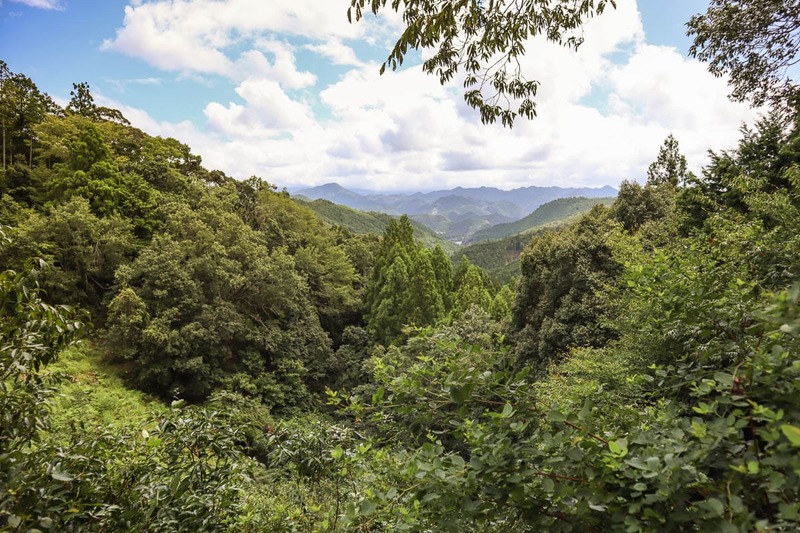 We hiked a 6 km route through small villages, up into the mountains, through the forest and finished at Hongu Taisha Grand Shrine – three Shinto shrines seen as the most important across the route. You might find it helpful to book a Wakayama tour guide if you’re not very familiar with the routes. You can enquire at the Wakayama tourism info centre for more about that. 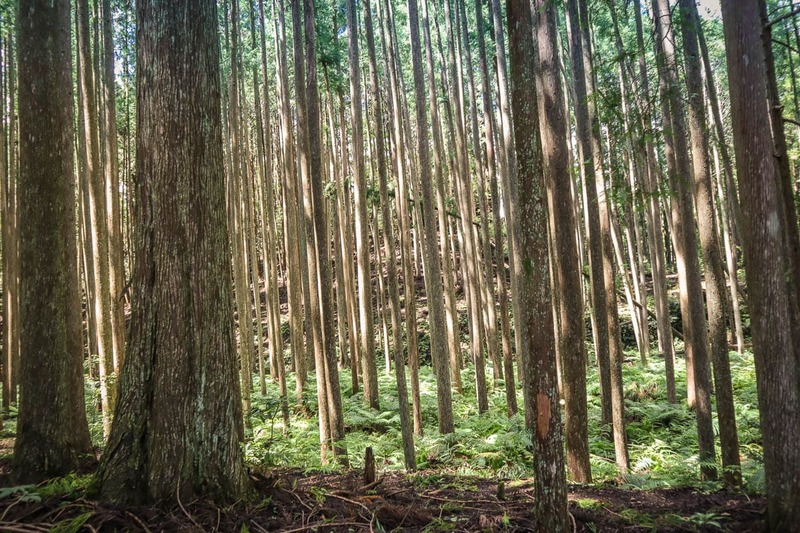 Also, if you’re looking for more info before your trip, check out this post all about hiking the Kumano Kodo. As you travel around Japan, you’ll be reaching for soy sauce on a daily basis! It was fascinating to learn more about this staple of Japanese cuisine on a free tour of Yuasa Soy Sauce Factory. Founded in the 1880s, this company has perfected its method of soy bean fermentation. There’s a chance to see huge barrels filled with fermenting soy beans, watch the filtration process in action and even have a go at stirring the mix yourself! I also loved the gift shop, which had shelves filled with interesting flavours of soy sauce, including yuzu, curry, dashi, a smoked version and plenty more! The most intriguing part though? Trying soy sauce ice cream for the first time. 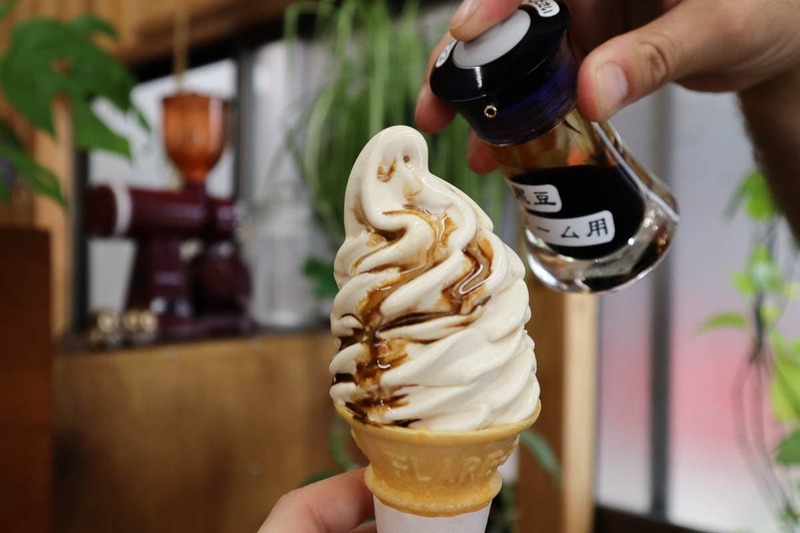 While the ice cream itself is flavoured a little, the real magic happens when you pop a few drops of soy on top. It was delicious, with a sweet/salty sensation similar to salted caramel. I definitely recommend trying it! If you’re trekking the Kumano Kodo, definitely pay a visit to this lodge. It’s in one of the most spectacular locations of any accommodation I’ve ever stayed in. We arrived around sunset and watched as the sky changed colour several times and the mist rolled in between the mountains. Even better, they have hot spring baths and serve some pretty gourmet food too – perfect after a tiring day of trekking! Check out latest prices and availability here. Head to the coast and you’ll be amazed at the incredible fresh fish and seafood available. 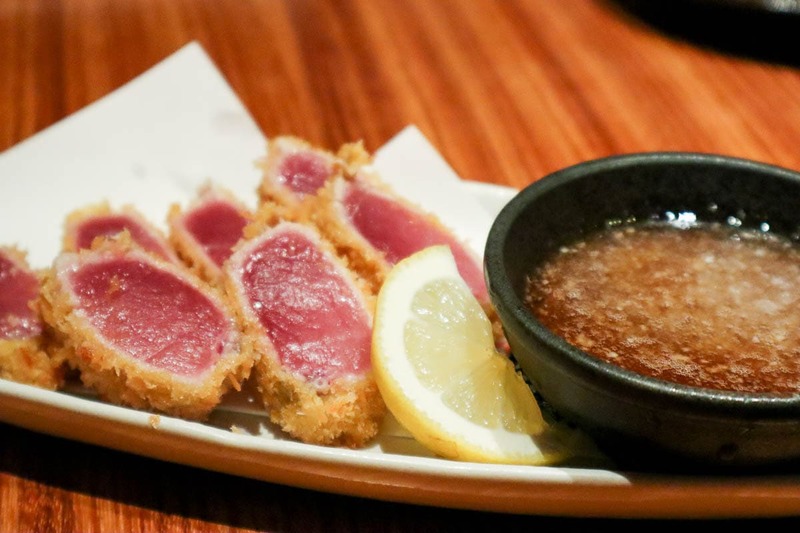 Nachikatsuura and the surrounding seaside towns are the no.1 places in Japan for tuna, with plenty of it exported all over the country. The top way to serve it? Coated in breadcrumbs, lightly seared but still raw in the middle. You then dunk it in a delicious citrusy dip. It really does melt in your mouth. I hope you’ve enjoyed hearing all about my time in Wakayama. It’s a beautiful area that offers SO much! Plenty more from my Japan travels coming soon! 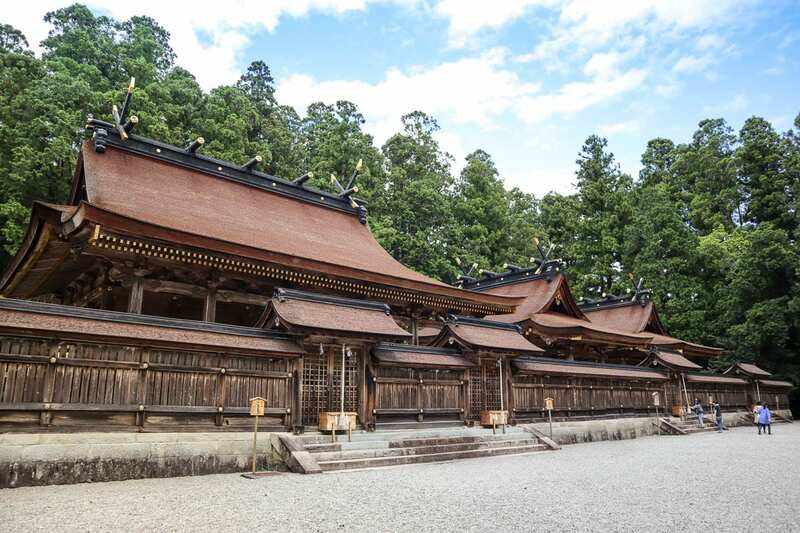 Head to Visit Wakayama to find out more about visiting the region. Planning a big trip to Japan? Visit www.seejapan.co.uk or head to www.enjoymyjapan.jp to build your own personalised Japan itinerary. As always all thoughts and opinions are my own! Nachi Falls looks breathtaking! Japan has so much to offer. Hoping to get there in the next few years. Ah Craig – you’re going to love it! That was a total highlight!